The Institute of Crop Science, NARO (NICS) is the core research institute of the National Agriculture and Food Research Organization (NARO) for conducting research on the breeding of crops such as rice, wheat, barley, soybean, etc. using advances in genomics, with the ultimate goal of improving the self-sufficiency ratio of agricultural crop production in Japan. Research activities also cover the understanding of basic mechanism of agronomic and physiological traits regarding crop-quality and productivity, and the development of efficient technologies for innovations in crop breeding. 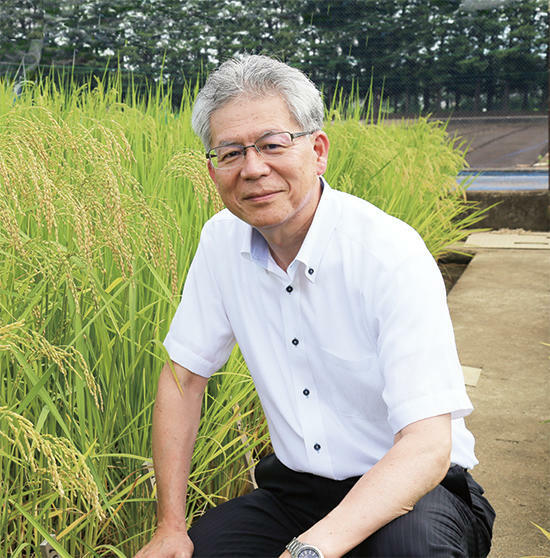 The Director-General of the Institute of Crop Science (NICS), Dr. Masahiro Yano has been chosen as a recipient of the 13th Midori Academic Prize. The prize is awarded by the Prime Minister to individuals in Japan with outstanding academic achievements in the fields related to "green" science such as researchers on plants, forests, greenery, ecology, landscaping or nature conservation, and development of related technology. The awarding ceremony will be held by the Cabinet Office in Tokyo on April 26, 2019. A research collaboration of NARO has revealed new functional mechanisms of ABA signaling on seed dormancy and germination using the model plant Arabidopsis thaliana. Until now, it has been thought that a mechanism via ABA receptor was necessary for ABA to function at the time of germination. 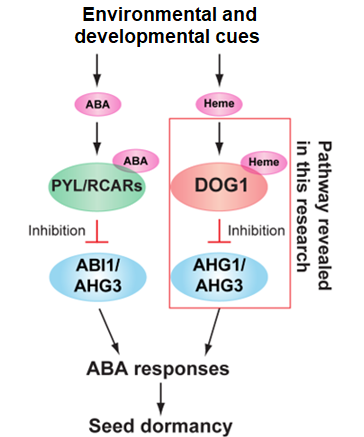 In addition, a new mechanism involving complex formation of AHG1 PP2C phosphatase with heme-bound DOG1 protein, has been discovered to play a significant role in seed dormancy. The Institute of Crop Science, NARO (NICS) concluded a Memorandum of Understanding (MOU) with the Leibniz Institute of Plant Genetics and Crop Plant Research (IPK) for collaboration in plant genome research. 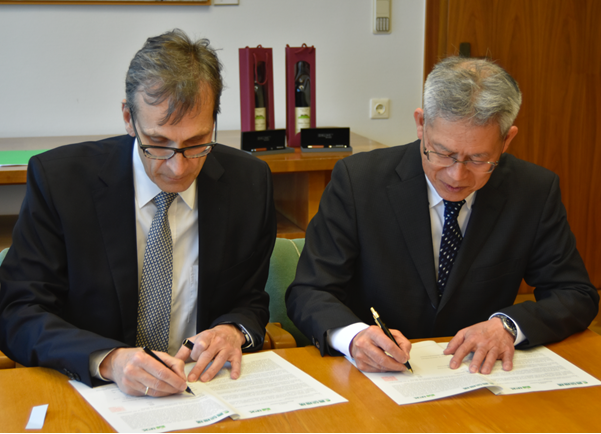 The MOU was signed by NICS Director-General, Dr. Masahiro Yano and IPK Managing Director, Dr. Andreas Graner on April 5, 2018 at the IPK campus in Gatersleben, Germany. The IPK is one of the world's leading international institutions pursuing extensive research in crop sciences and making important contributions to global food security and sustainable agriculture. 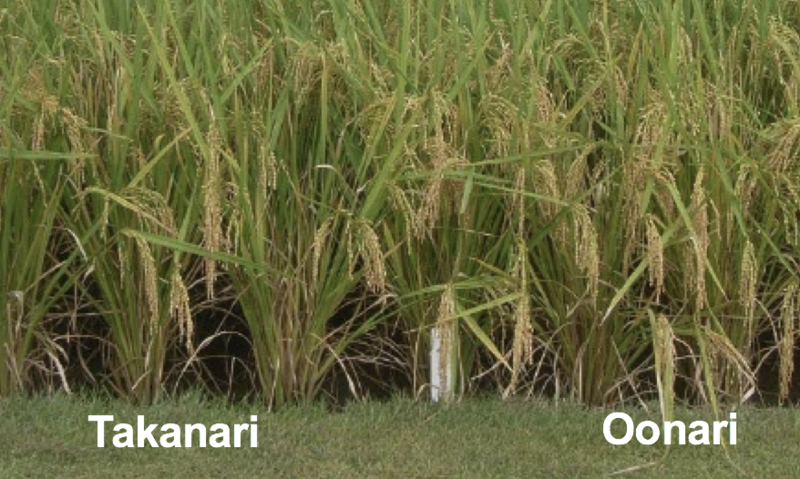 A new rice cultivar "Oonari", suitable for animal feed and cultivation in paddy field has been developed from a mutant line of cultivar Takanari derived by gamma-irradiation. Although Takanari is a high-yielding cultivar, the seeds are easily dispersed during ripening due to a shattering habit which causes a significant loss in yield. The yield of this new cultivar reaches up to 1 ton/10a in heavy manuring cultivation, which is the highest yield level obtained so far in breeding of animal feed rice. It is also suitable for cultivation in western Kanto areas with much warmer climates during the cultivation season. Press release is available here in Japanese only. New high-yielding rice cultivar "Toyomeki"
A new high-yielding cultivar "Toyomeki" which gives a yield of 738 kg/10a under normal cultivation and 814 kg/10a under heavy manuring has been developed. 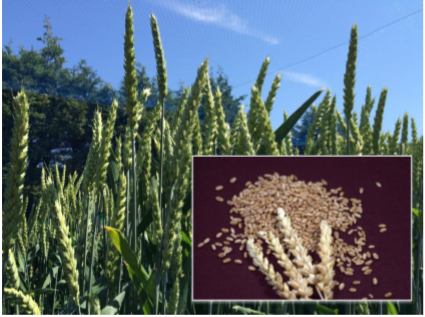 In contrast new cultivar therefore gives 23% more yield under normal cultivation and as much as 60% increase under heavy manuring as compared with Koshihikari. The Toyomeki cultivar is adaptable for cultivation in the western area of southern Tohoku region. The cooked rice also tends to be less sticky and suitable for processing frozen cooked rice. Press release is available here in Japanese only.